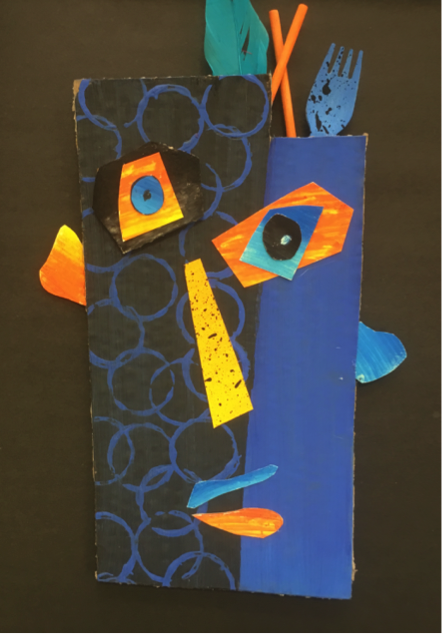 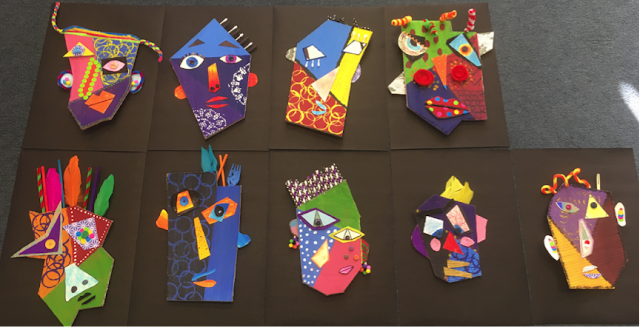 We have been creating Picasso portraits using a variety of mixed media. 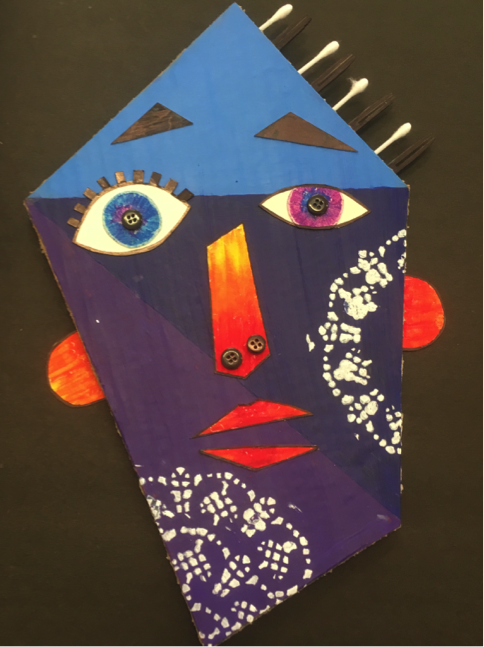 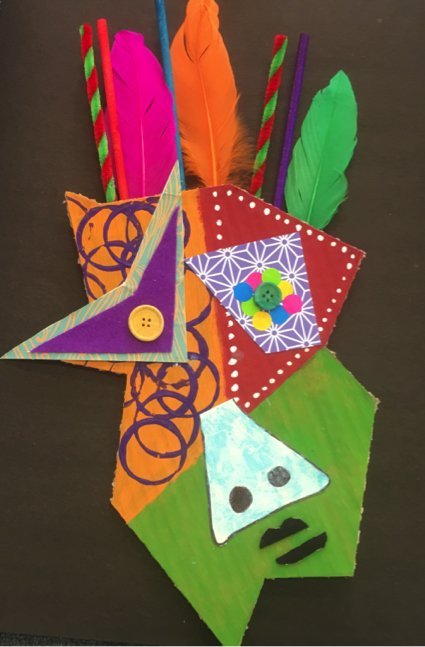 First, we designed the shape of our face (sticking with angles) and sectioned it off into 2, 3 or 4 parts, adding texture with design and pattern. Next, we added our features. 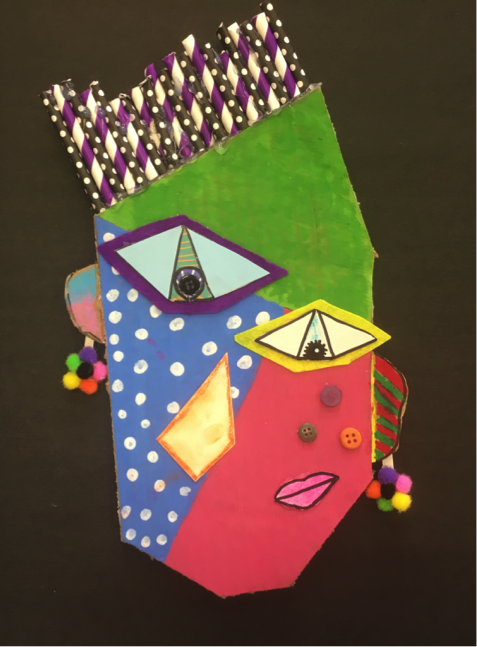 As long as we had two eyes, two ears, one nose, one mouth, and hair...we could design these elements as we wished.